Update: On Sept. 7, 2017, we changed our position from supporting the bill to neutral. Read our update here. In 2015, the Center for Public Integrity undertook a major investigation aimed at grading all 50 states to ascertain their transparency and accountability. 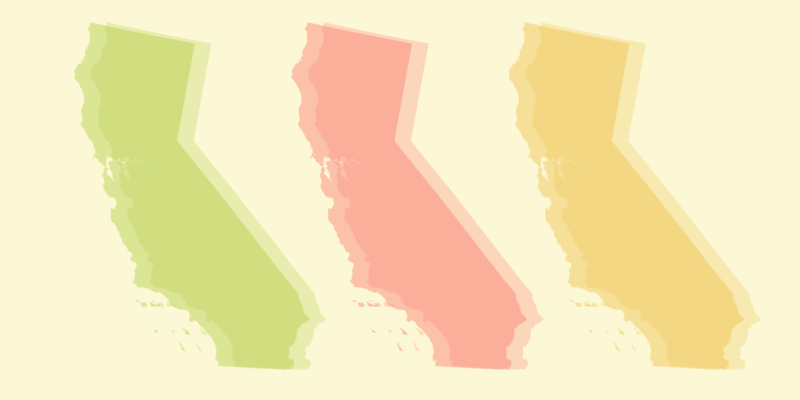 When it came to California, the state received an abysmal ‘F’ rating in the category focusing on public access to information. That is unacceptable. Transparency advocates for years have complained about the enforcement measures in the California Public Records Act (CPRA). There is no appeal process when an agency rejects or ignores a records request. The burden is on the requester to go to court to fight for the documents. While the agency may have to pick up the requester’s legal bills, there is no penalty for agencies that willfully, knowingly, and without any good reason violate the law. The union’s most populous state and the sixth largest economy in the world should be setting an example rather than lagging behind the many states—such as North Dakota and New Mexico—that penalize agencies that improperly handle or reject request for public records. (3) (A) If a court finds by preponderance of the evidence that an agency, knowingly and willfully without substantial justification, failed to respond to a request for records as required pursuant to subdivision (c) of Section 6253, improperly withheld a public record from a member of the public that was clearly subject to public disclosure, unreasonably delayed providing the contents of a record subject to disclosure in whole or in part, or improperly assessed a fee upon a requester that exceeded the direct cost of duplication, or otherwise did not act in good faith to comply with this chapter, the court may assess a civil penalty against the agency in an amount not less than one thousand dollars ($1,000) nor more than five thousand dollars ($5,000), which shall be awarded to the requester. In an action alleging multiple violations the court may assess a penalty for each violation, however the total amount assessed shall not exceed five thousand dollars ($5,000). In other words: If the agency’s response to your CPRA request meets the above conditions and you file and win a lawsuit, the court can fine the agency between $1,000 - $5,000, with the money going to the requester. However, there are limits. While the court can assess a fine per violation, cumulatively the fines cannot exceed $5,000. In addition, a court is prohibited from assessing a fine if the agency withheld the records because of “ambiguous or unsettled question” of law. The bill would also require government agencies to tap an employee to be the “custodian of records,” the point-person for all public records requests and public records related questions. This is already a common practice across the state. Despite claims by opponents, it would not require any new hiring, since the title could be given to the staff currently charged with handling public records requests, such as public information officers, city clerks, and legal counsel. Too often, government agencies ignore or reject records requests, knowing that it is unlikely the requester will file a lawsuit. After all, agencies have full-time legal departments and millions set aside for legal settlements, while requesters have no financial incentive at all to pursue litigation. This penalty provision will put pressure on public agencies to err on the side of disclosure of public records rather than withholding them. By going beyond the current regime of attorney fee awards if a requestor wins in court, it will reduce the personal risk that California citizens incur in pursuing litigation over government transparency. To alleviate concerns that the bill may result in a flood of public records lawsuits, the bill has a built in sunset date of 2023, essentially creating a five-year pilot program. Although opponents claim that the bill will hurt their budgets, it’s important to note that agencies that follow the law can avoid this penalty completely. The California Assembly passed the bill with a near-unanimous vote, and a bipartisan majority in the Senate Judiciary Committee approved it. A.B. 1479 is now before the Senate Appropriations Committee, where it is up to the chair—Sen. Ricardo Lara—to bring it up for a full vote. We call on Sen. Lara and the Senate Appropriations Committee to pass A.B. 1479. It’s time we gave the California Public Records Act some teeth.